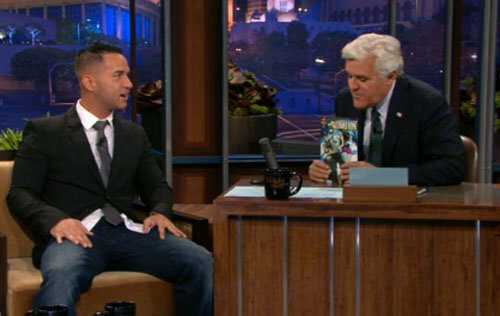 Sorrentino told Leno that he began writing the book, loosely based off of stories of his own life a while back while touring the east coast, and earlier this year it all came together when the reality star teamed up with Wizard World comics and the comic book was born. Leno previewed a couple of pages in the book, and when asked about his “superpower,” Sorrentino joked that he has a certain “persuasion” with the ladies. Mike and the gang from MTV’s ‘Jersey Shore’ will be back for their final season on October 4, and we’ll get a look at the new Mike Sorrentino, who is shown making dinner for his roommates in the preview clip shown during the broadcast. You can even get a copy signed by Mike himself! Check out the clips from Leno below. Honey Boo Boo Renewed For Season Two!